So, here it is! A platform of my own! where do i start!? Red hair and other colors is a blog about life, love literature, music and most importantly, Fashion. it may sound old and cliche, but I promise not to male it so. Here goes my first post..
As i was growing up, books and literature have always been a major part of the lifestyle i live in. My parents being English Lit professors has been like a catalyst to my already burning desire to read and read and read till i know it all. yes, there i said it. i aimed to be a Know it all. And today i pride myself on being one. Call me silly, call me naive, call me anything else you come up with, those books i read growing up has made me what i am today. I go from Hermione to Rory Gilmore to Elizabeth Bennett in a jiffy and that’s just me. how many girls have grown up wanting to be them? there’s just something bout a very strong female character with a penchant for independence that appeals to us all. As i start this blog, I began to reverse think and pin point where did it all began for me. Because the first novel i recall reading was Great Expectations. But I don’t remember falling in love with a character then. so where id it all began? Charlotte Bronte : Jane Eyre. That’s where it all started. Some 19th century critics saw Jane Eyre as a feminist manifesto. Through Jane, Bronte exerts feminine power and independence, and when Jane and Rochester are finally married, they do so as equals, with Jane Eyre “her own mistress”. She not only differentiates between wealth and independence, but claims that she will not depend on him. Through Jane, Bronte expresses the notion that “women feel just as men do”, and expresses that a woman cannot live a life of “stagnation” and “rigid restraint”. These views express feminism at a time when “feminism” was unheard of. Throughout the novel, Jane must escape from a dominant male figure who attempts to harm her or force her to abandon her morals or ignore her feelings. Not only can Jane Eyre be seen as a feminist manifesto, but more broadly a novel of power to the oppressed class. Jane challenges the notion that poverty is a criminal offense, noting that some of the best people were destitute and deprived. She gives a voice to those who are powerless by exerting her power over those who attempt to repress it. Her sense of justice is innate; she knows what is right and wrong and the reader sympathizes with this, while Bronte simultaneously positions us to see the injustice exerted by the upper, ruling class. The theme of the supernatural provides a Gothic undercurrent throughout the novel, and Bronte uses it to create an atmosphere of mystery and suspense. There are only one and possibly two unexplained supernatural occurrences in the novel, however, and most apparently supernatural things are revealed as natural occurrences. Bronte explains the supernatural with natural causes, and this makes the occurrences more sinister as they seem to occur in the real world, rather than in a fantasy world of ghosts and vampires. Most girls would fall in love with Mr.Darcy when we talk about literature. I have had so many conversations about him being the perfect romantic hero. But now i realize i have always been drawn to the Anti hero. The dark brooding characters who are not only mysterious but passionate to a fault. Mr.Rochester is my perfect hero. Mr Rochester is a typical Byronic hero. Proud, moody, and somewhat cynical, he has distaste for social institutions and pities himself regarding his marriage to Bertha Mason. He is self-critical and regrets his past libertinism. He is somewhat rebellious, abrupt, and rude, although also educated, perceptive, seductive, and affectionate. 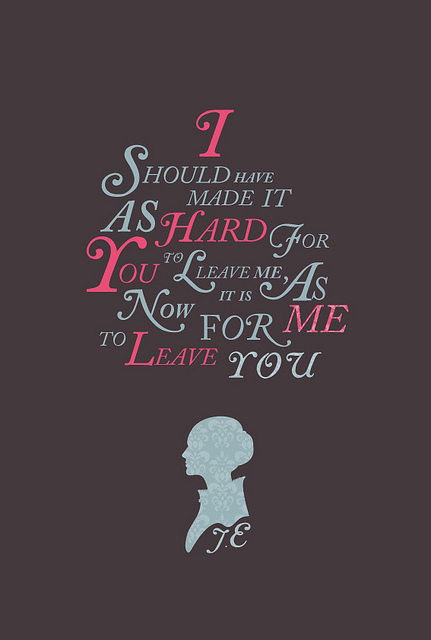 Jane Eyre made such a huge impact on me. It is the one book that i feel stands for everything i stand for and everything I believe in. It is powerful, filled with ferociousness and individuality, It has a character of its own and the courage to stand out. the novel itself was such a scandal when Bronte published it. It was a slap on the face of class ism, patriarch society of those times and spoke of female liberalism like no other book had till then. It only seemed appropriate i start my blog with the one thing that turned into my stepping stone to what i am today. It is a dark depressing Gothic tale of tragedy and suffering but it has an intensity rarely seen. For me, its also a classic tale of romance. Do post your comments below on your take on the novel. All criticisms are appreciated. PS : I’m going to be adding a small playlist along with every post i write. They are just the songs that kind of enhance the theme I would be talking about. Previous Post Subcultures : Where are they now??? Love the combination of 1St blog and 1st novel, really love all the mataphores and idea of adding playlist. You always inspire me to read … Looking forward for more such blogs. I didn’t know there would be a playlist at the end. From the next time, I’ll play those songs in the background and then read the blog. Great job Darshita! Looking forward to more such posts (especially the one about Harry Potter). Thats exactly what i had in mind ankish:) and yeah u definitely will get one on harry potter..cant be my blog without harry potter in it right!? Loved it, pretty unconventional and different. I have always been a fan of ur work since the frst time you show me your first notebook in which you started writing your first novel and a touch of music its so you,…….for every person there is some or the other book or writer who inspires you to read but for me its you who gave me my frst novel sayin “i hope u pick up reading”…..n guess what?……..i did!!…. Being shaped by books is like being made of clay. You are a fine form, full of integrity and complete with nuances. And then comes some other story like a wet hand and it has the potential to change you and your form. Being open is what reading and writing and expressing is all about. I am so proud of you for taking up this journey. I hope it is equally inward for you as it is fantastically so in expressions.